PLEASE NOTE: freediving wetsuits must be worn fitted to better serve their function. Given the material used to manufacture them, the above table is for reference only. 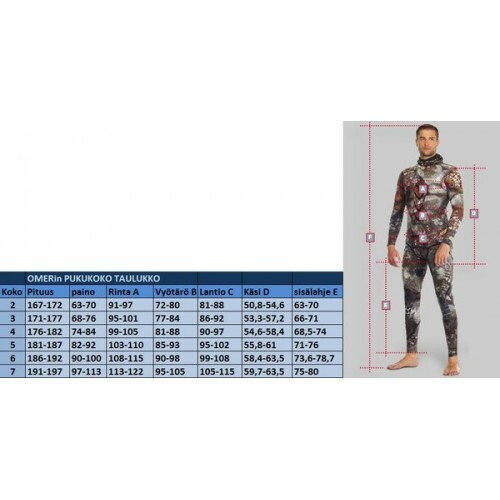 We strongly suggest to try your wetsuit at a retail store.